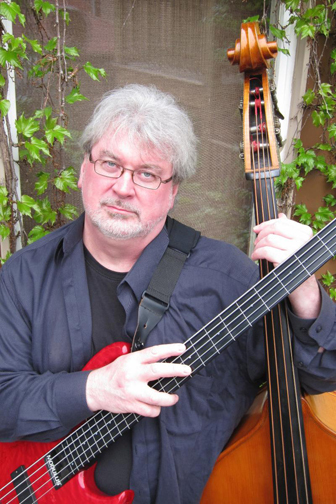 The Jazz Institute of Chicago, dedicated to promoting and nurturing jazz in Chicago, has recognized David Bloom with a Jazz Educator of the Year Award for 2017. Also recognized is Dr. Roosevelt Griffin III. 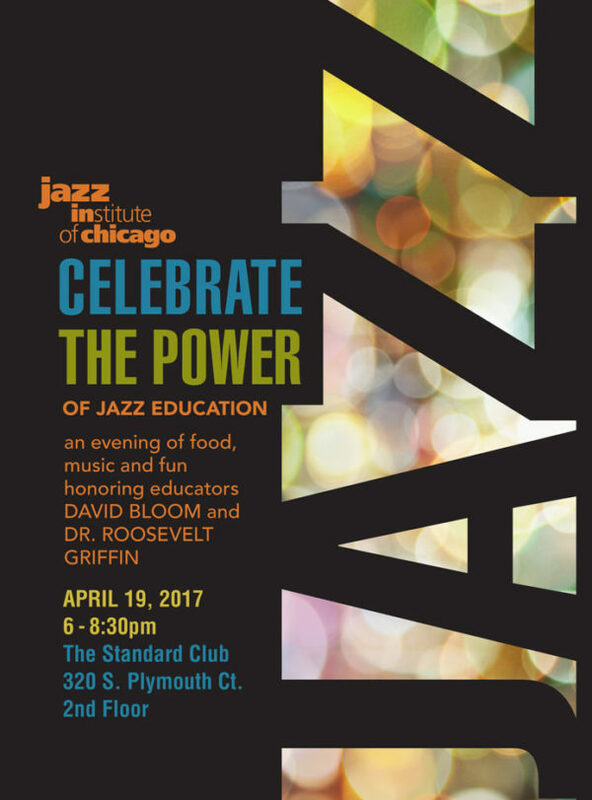 Enjoy an evening of food, music and fun honoring these two educators on April 19, 2017 at The Standard Club. For more information about this event, click here. A New York cabaret artist who has made Chicago her home since 1994, Spider Saloff is being recognized for Ongoing Jazz Artistry. 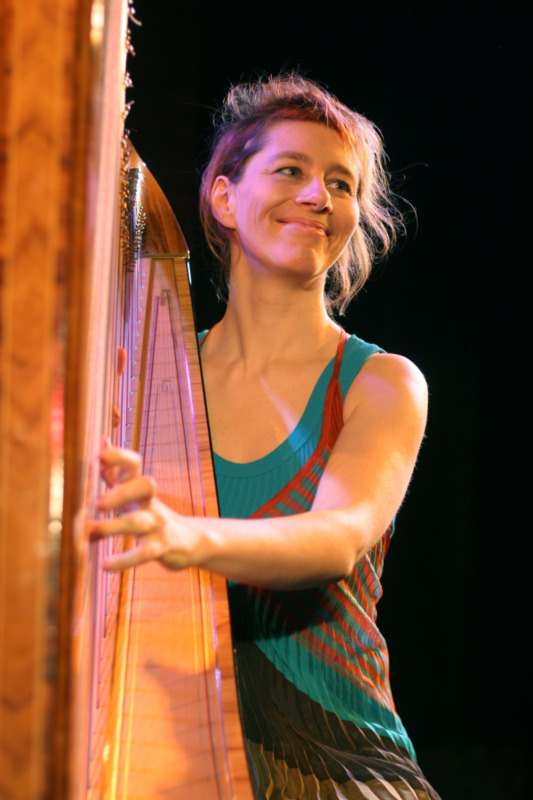 This 2017 Bistro Award, for her masterful musical technique and her ability to illuminate the meaning of every song, will be awarded March 13 in New York City. To register for vocal classes with Spider Saloff at Bloom School of Jazz, please call 773-860-8300 or email davidbloom@bloomschoolofjazz.com. 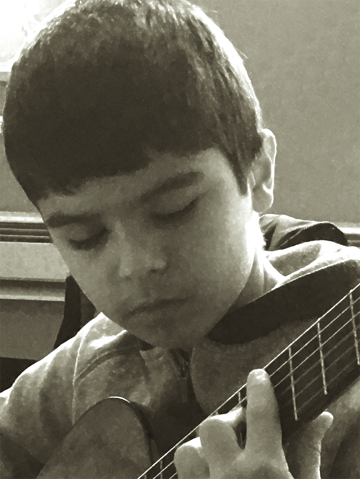 Eleven-year-old Teo Georgieve, who started at BSJ when he was nine, is the first recipient of the Tim Alcock Guitar Scholarship. The Bloom Foundation is a 501(c)3 organization whose mission is to stimulate passionate expression and imagination. One of our first projects will be "The Musical Taste Test" which encourages children to listen to and comment on musical genres from around the world. You have already developed a significant relationship between you, your instrument and music. Through your playing you have paid homage to great composers and great music. You have meticulously rendered the instructions given to you on the written page. Now is the time to let your own melodic musings come out of your imagination. 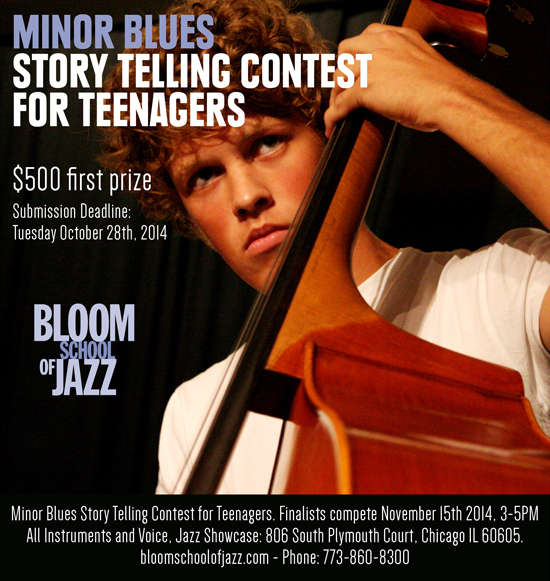 We are excited to notify you of the first Minor Blues Story Telling Contest For Teenagers (13-19) sponsored by the Bloom School of Jazz. This contest is being given to promote improvised musical story telling awareness and accountability.